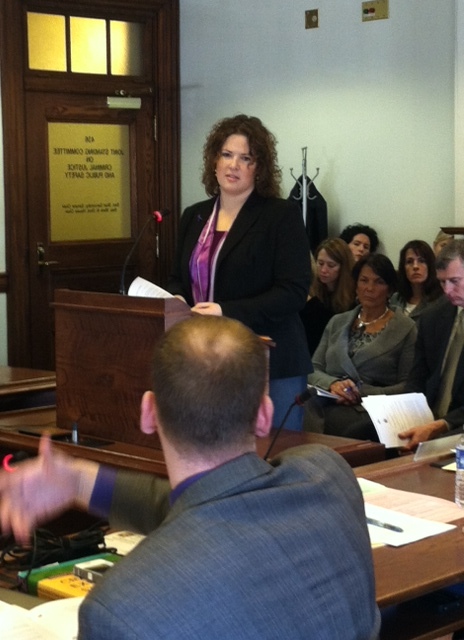 A public hearing before the Criminal Justice and Public Safety legislative committee was held this month for LD 1656,“An Act to Increase Safety for Victims of Domestic Violence”, sponsored by Senator Emily Cain (D-Penobscot). The bill builds upon an earlier law sponsored by then-House Democratic Leader Cain requiring law enforcement officers to receive training to use evidence-based domestic violence risk assessments. That earlier law did not specify how the information obtained from the assessments could be used and LD 1656 is meant to clarify how law enforcement, judicial, and community groups share information obtained from the risk assessments in order to plan the most effective response when domestic violence occurs.